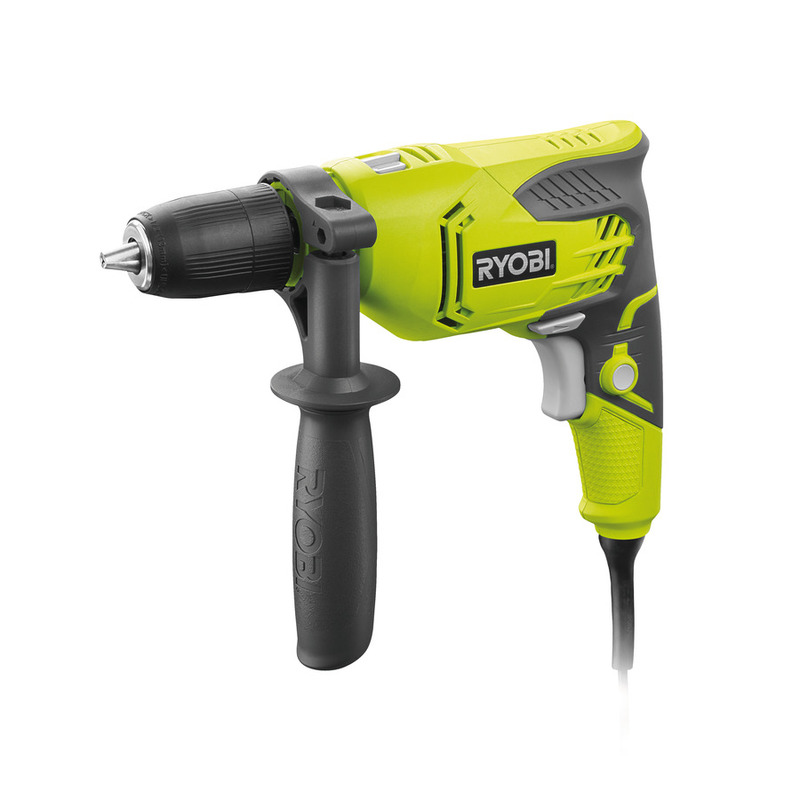 The Ryobi RPD500-G 500W Percussion drill is not only one of the most compact and lightest 500W percussion drills in the DIY market but with its 500w motor, 0 - 3000rpm and market leading 0-50,000bpm it produces high performance and drilling capacity into wood, steel and masonry. At Ryobi we pride ourselves for our high quality and innovative products. The RPD500-G, like professional drills, has heat treated, ball bearing steel cut gears, increasing its durability. The 13mm keyless chuck allows a drilling of a variety of hole sizes allowing more choice of bits over a standard 10mm chuck. Integrated Gripzone technology ensures constant user comfort and reduces vibration- you’ll never want to use another drill again!